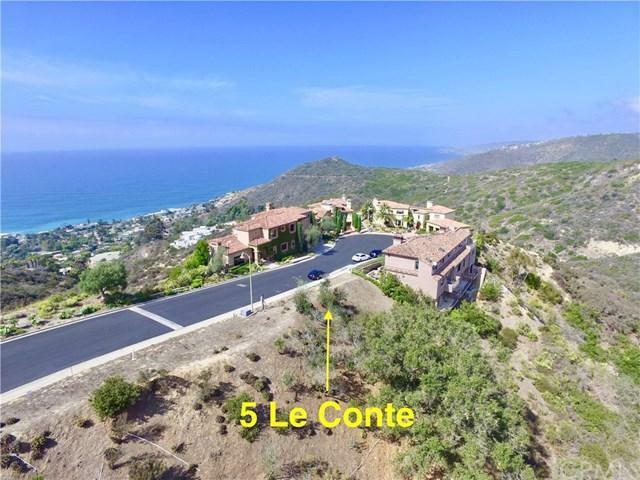 5 Le Conte, Laguna Niguel, in the Prestigious "Laguna Sur" Ocean View Community in Orange County! 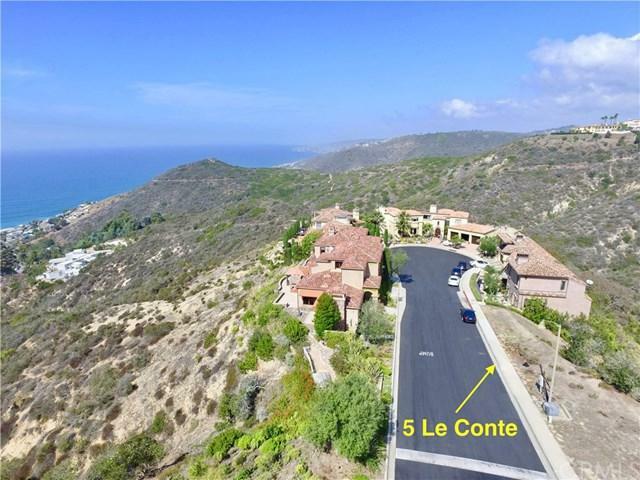 This unique homesite sits high above South Laguna and the Ocean beyond on a "Cul-de-sac Peninsula" affording breathtaking Ocean and Canyon Views. Large 11,465 sq. ft. lot backs up to the open space side of the cul-de-sac providing fantastic natural habitat views and privacy. Ocean view corridor directly across the street cannot be built upon ensuring spectacular Ocean views and sunsets from the 2nd story balcony. Prior HOA approved Custom home plans included have been designed by the renowned Architect Stan Schrofer. Plans for a spacious, 5,545 sq. 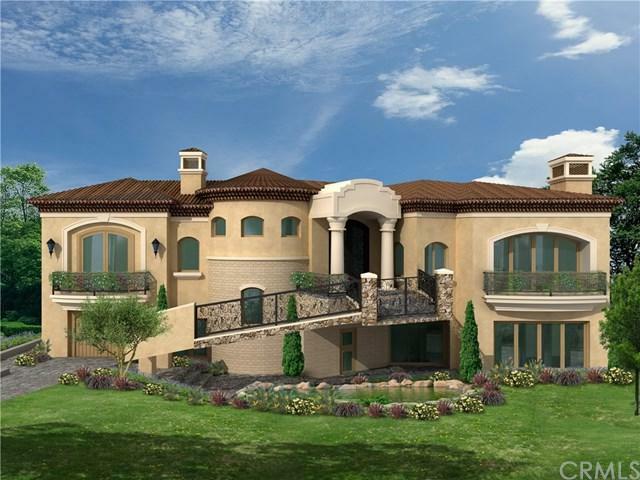 ft. Tuscan style home features three levels, including a Subterranean 5 car garage. New buyer shall have an opportunity to use plans as-is, build to suit, or buy and hold. Plans will need to be resubmitted to City for approval. Topographical Survey and Soil Report also completed and available. Laguna Sur is an exclusive, private gated community with 2 pools, spa, and tennis courts with gorgeous multi-million dollar homes. Low HOA fees of $175 per month. Must see. Call for appointment.